Dude..... im so sorry. I didn't ask for your permission. As the old saying goes, you need to break a few eggs to make an omlett. Can you give me permission? How about this, ill include your readme.txt in the root folder with my MODS.txt, ill rename it to your mod name. Keep in contact in the future, im testing compatibility with atleast 20 mods for you and for this modpack. If the readme is included, I don't mind. Man, couldn't you ask from the very beginning? That would save you a lot of trouble. Because rules are rules you just gotta ask first or at least read the readme, where a message to modpack creators is written. 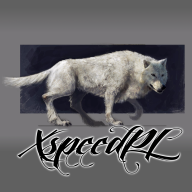 Hello XspeedPL. My name is Ronnie. I would like to ask you for your permission to use your smart pets mod in a modpack I am creating. You're free to do so, as long as the readme file from my mod is included, preferably in the root directory of the modpack. Do you still need someone to do the sprites for the dicapturer/recapturer? I'd be happy to try my hand at it. If you have an idea, go ahead.